Moorside Community Primary School and Ash Green Community Primary School have been the subject of recent crimes. 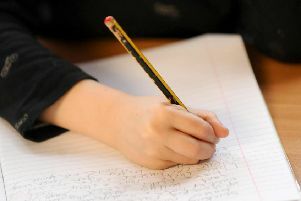 Calderdale Council is offering support and advice to two schools after they were the victim of 'thoughtless criminals. Moorside Community Primary School and Ash Green Community Primary School have been dealt a major blow after they were subject to a burglary and arson attack. Calderdale Council’s Cabinet Member for Children and Young People’s Services, Councillor Megan Swift, said: “It’s really sad news that both Moorside and Ash Green Schools were affected by thoughtless criminals. "The crimes themselves are being dealt with by the police, but we will of course assist in investigations in any way we can. “It is heartening however to hear that communities are really rallying around the schools. For example, people in Mixenden have been raising funds to go towards replacement facilities at Ash Green, further showing how appalled the local community is by these crimes. An investigation is underway after heartless burglars broke into Moorside Community Primary School and stole teaching equipment. The burglary happened on Friday November 16. at around 10.05pm. Calderdale police officers are also treating a fire at Ash Green Community Primary as arson. The fire destroyed one of the buildings on Monday night at around 10pm. Anyone with information about either of the incidents can contact Calderdale police on 101 or by calling Crimestopper anonymously on 0800 555 111.